Speed Devils (スピード･デビル) is a racing game for the Sega Dreamcast. It was later followed by Speed Devils Online Racing. Main article: Speed Devils/Magazine articles. 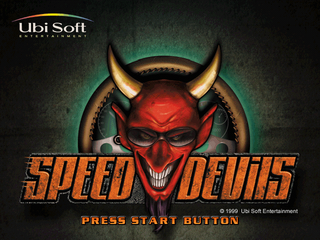 Main article: Speed Devils/Promotional material.